I just got a chance to buy 6 pcs of Krispy Kreme Classic flavor. I prefer this donut compared to other donut available in the kingdom. Donut outlet is strategically located into different parts of Saudi Arabia. But if you don’t like sweet, better not to try this one. The more you buy, better discount is offered. 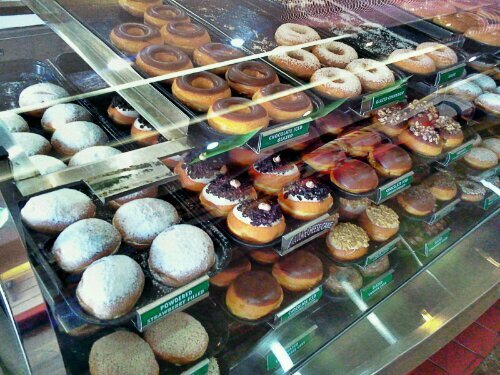 hi, my daughter always luvs the krispy kreme doughnuts…but recently she has been diagonised with juvenille diabetes,v wud be very glad if u make some sugar free doughnuts for kids like my daughter who have diabetes….